NORTH EAST, Md. – In two short years, Cecil College’s Physical Therapist Assistant (PTA) Program has risen to national prominence under the watchful guidance of Melody M. Stanhope PT, DPT, who has introduced new training techniques that think outside the box. 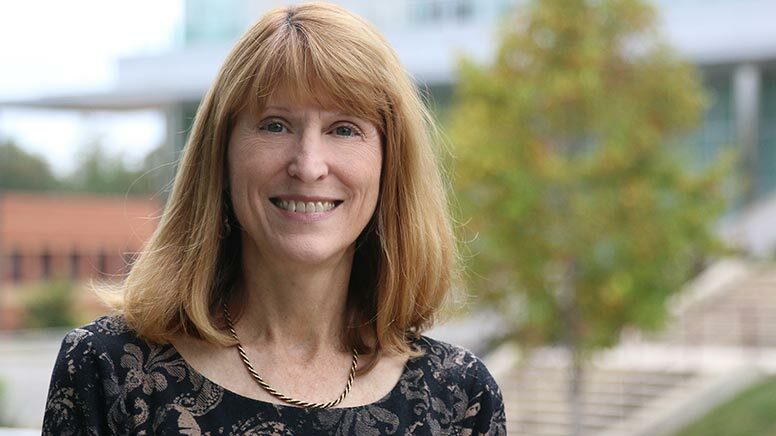 The success of Dr. Stanhope’s efforts have quickly reached throughout the PTA community, and she was asked to present at the American Physical Therapy Association’s APTA Annual Educational Leadership Conference last month held in Jacksonville, Florida. Entitled “Intra-Professional Collaboration: Innovations in Simulation to Promote PT-PTA Teamwork,” Dr. Stanhope reported on a new initiative she developed focusing on the facilitation of PT and PTA teamwork by increasing communication and knowledge of the respective roles and scopes of practice of each member of the team. This initiative grew out of a heightened professional expectation that PT and PTA programs need to teach students what their responsibilities are in a professional setting when working with PTAs. This standard’s change generated a lot of chatter between the different colleges and universities attempting to align programs. Working with PT faculty from the University of Delaware, Dr. Stanhope and her colleagues devised a live simulation lab where both the PT and PTA students each received information on a patient, and they had to work in unison to convey information needed by the other. As the simulations occurred, the faculty watched the progress from behind a two-way mirror. “We wanted to put a scenario to them, so the students have to problem solve and work together to come up with the proper solution. The goal of these live simulations is to see how well the students communicate the patient’s needs,” said Dr. Stanhope. The live simulations run for 20 minutes followed by a debriefing of what the two students experienced. The debriefing includes worksheets and verbal discussions from which data is compiled to be used later in the students’ lessons. These live simulations are held twice during their schooling, the first time early in the program and the second occurring shortly before graduation. This is done to ensure any deficiencies have been rectified. Simulations are designed to align with specific PT and PTA curricular content and include medical and professional red flags that students are expected to spot. “The goal of the simulation was to emphasize the importance of communication between PTs and PTAs. All the scenarios had a red flag situation that would prompt one of the students to have to say something to the others on the team. If the red flag was missed, we could address it afterward in the debriefing,” said Dr. Stanhope. The data pulled from these live simulation scenarios created a buzz within the Physical Therapist Assistant community, leading to Dr. Stanhope and her colleagues were asked to conduct a 90-minute presentation at the national conference on Oct. 13, 2018. “I thought we would create a poster presentation for the conference, but then they came back and asked if we could do a presentation in the main hall. It was exciting to be presenting to a national audience,” said Dr. Stanhope. Dr. Stanhope presented on statistics covering increased knowledge of the scope of a PT’s practice, the insight of the communication and demands, and time commitment on the development of the life simulations and scenarios. Presenting with her were Dr. Adrienne Pinckney and Dr. Eric Stewart. Most PTA programs are offered through community college, leading to limited funding and faculty for the programs. Because of these budget constraints, Dr. Stanhope’s approach attracted a lot of interest following her presentation. She is still being contacted by PTA coordinators seeking guidance and assistance in organizing simulation collaborations at their institutions.